I may be in the minority here, but I am excited about the upcoming royal wedding: 9 days to go! I’m also excited to hear that Shane Connolly will be designing the flowers for the big day. If you didn’t read my BTA posts, Shane was one of the floral designers I had the privilege of watching during Bouquets to Arts week in March. He’s such a great designer and his style is so natural. 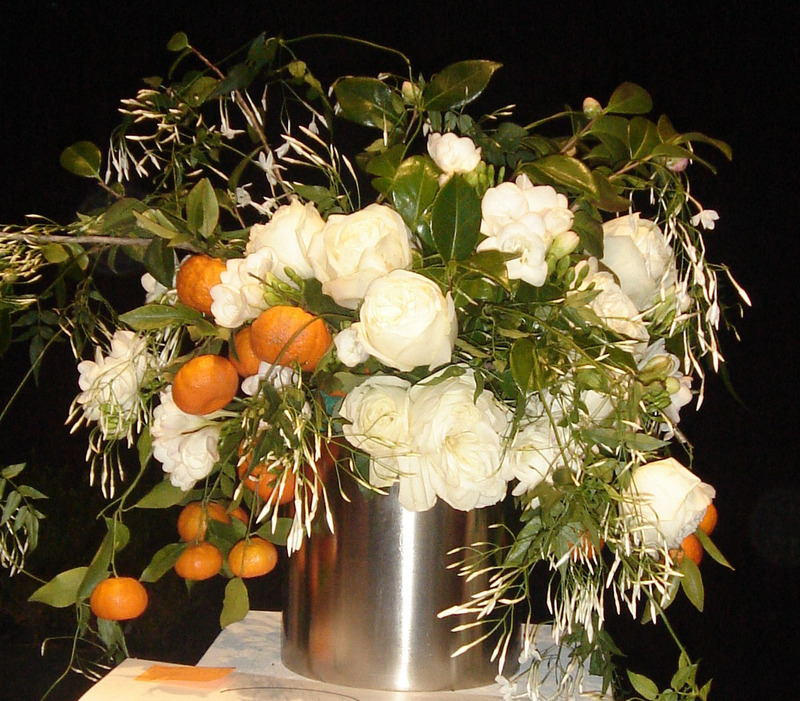 All (floral designers’) eyes will be on the wedding flowers, and I can’t wait to see what he creates. Word on the street is that Kate wants British-grown, seasonal flowers, but details about the designs and the exact flowers are still under wraps. There is also speculation that she will go with traditional white, but she is a modern bride and my hope is she goes for a little bit of color. “Experts” do seem to agree on one detail: Kate’s bouquet will include a sprig of myrtle from a tree growing in Queen Victoria’s garden at Osborne House on the Isle of Wight. 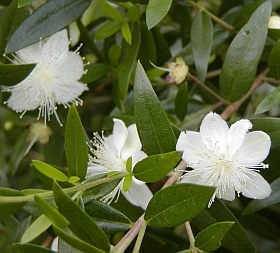 Myrtle has many legends associated with it, but it is commonly associated with love. The tree at Osborne House was planted back in 1840, from a sprig of myrtle from Queen Victoria’s own wedding bouquet. Every royal bride (in England) since then has included a sprig from the very same tree in their own bouquets. What a nice tradition! Another rumor making the rounds is that Kate will wear flowers in her hair, instead of wearing one of the royal tiaras. I am a huge proponent of brides wearing beautiful flowers to adorn their tresses, but when a bona fide royal tiara is offered up, you go with the tiara. 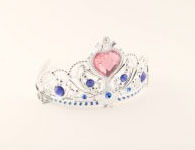 Fairytale princess weddings must include tiaras…it’s one of the rules. Kate can remove the tiara after the ceremony and wear flowers in her hair during the reception. Or vice versa. See, the best of both options. Regardless of what she decides, I’ll be glued to the “telly” early Friday morning to watch the big day…and the big flowers.